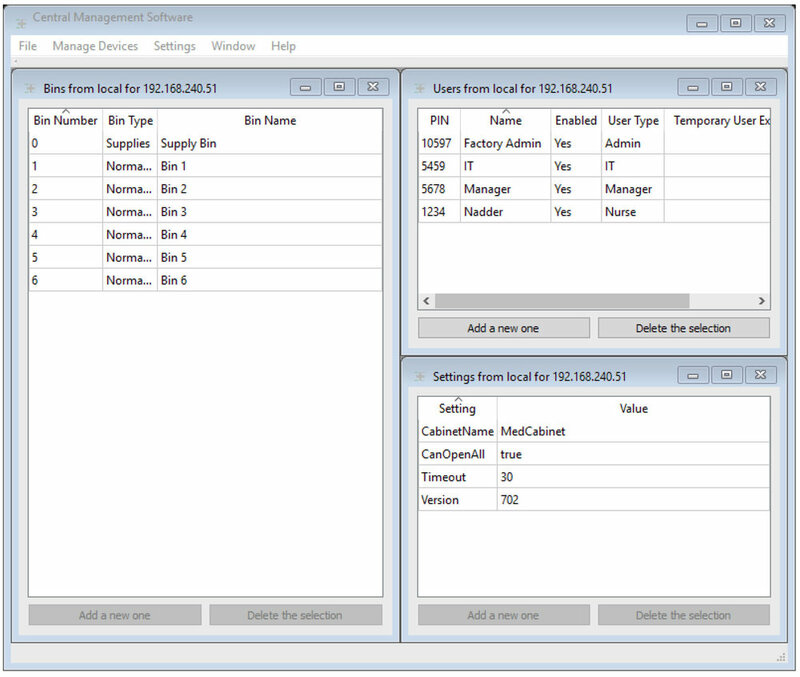 The Central Management Software is provided to easily setup and maintain medserve® or to synchronize settings and users between multiple cabinets. Each medserve® can be managed directly from the touchscreen. The Central Management Software is not required to setup or use medserve®. Modify network and IT Settings. No access to the cabinet. An expiration date and time can be set for any user. After this time, the user will lose access to the cabinet. Use this feature for travel nurses, float pool, or other temporary staff. Easily reactivate a user and set a new expiration date if they return. 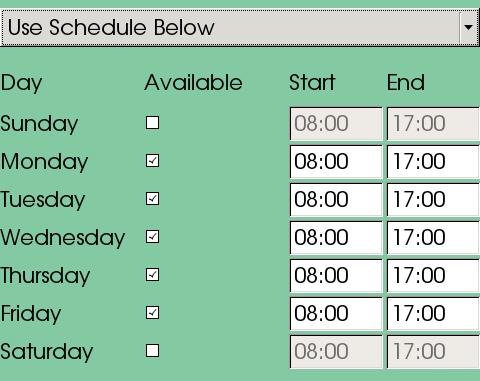 Set your business's schedule to automatically prevent access to the cabinet after normal business hours.